Now Spinning. World class turntables on display from $350 to $3500. Yes, the vinyl revolution is here in a big way. Your favorite artists from then and now are all releasing new and re-issued albums on vinyl, replete with beautiful full size album covers, lyric sheets and liner notes that you can actually read. So if you want to get on board the vinyl craze, youll need to buy a turntable. 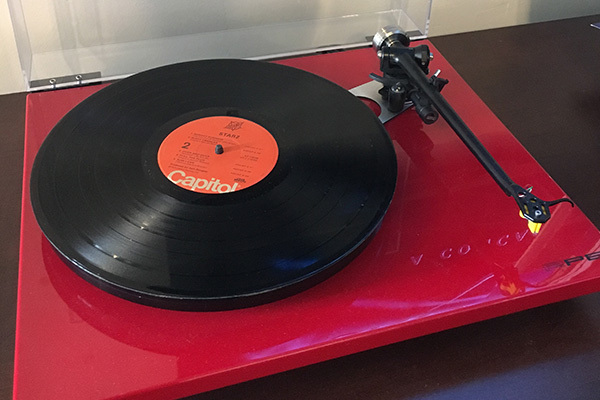 But what level table will you need to get that warmer, richer, more dynamic sound that vinyl fans all rave about? Ovation now sells turntables from Rega, Thorens, Marantz, and more. We'd be happy to show you around and educate you on the finer points of turntable and cartridge design (yes, just like speakers, you really can hear differences). We also offer state-of-the-art record cleaning systems to help you bring your vintage record collection back to life, and keep your new vinyl purchases sparkling clean andcrackle free.